Discovery 13T, Blown film extrusion, Solutions | Contrex S.r.l. 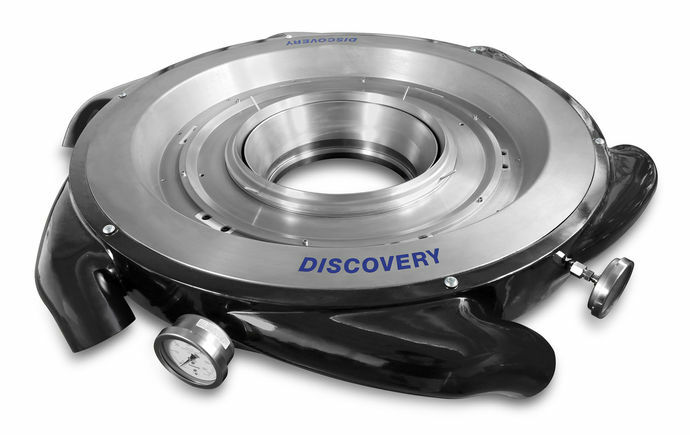 DISCOVERY 13T is a high performance cooling ring featuring triple cooling flow. The three cooling flows combined with the thermo-regulated sectors enable proper bubble support and consistent gauge control along the entire circumference. The 13T series further significantly reduces the 2 Sigma value offering a strongly enhanced production capacity. This system is easily managed with the Navigator 9000 integrated control system and an intuitive 15” touch screen interface.